Another one of my favorites! Beautiful composition, lovely muted colors and perfect lighting. This photo makes me want to be in the room with this woman sipping on a cup of tea. 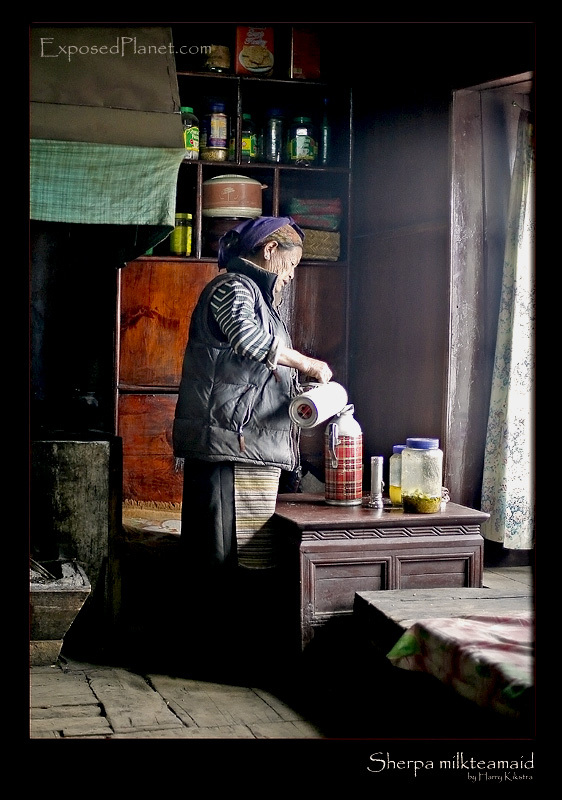 The story behind "Khumjung (8): Sherpani in Kitchen"
I am finishing this second and final part of the Khumjung miniseries with the same kitchen I started with. But this time Ang Temba’s wife is in it, pouring me some deliciously sweet milk tea.